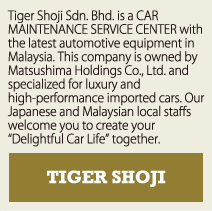 HISTORY OF MATSUSHIMA HOLDINGS CO., LTD.
Heian Mazda Co., Ltd. is established by Shichibe Matsushima, CEO. Heian Mazda Co., Ltd. changed its name to Kyoto Mazda Co., Ltd.
Kyoto Mazda Co., Ltd. buys back the stock of Toyo Kogyo and its capital adequacy ratio becomes 100%. Hachijo Service Center opens in Kisshoin, Kyoto. Trade Dept. starts export business. Stern Kyoto Co, Ltd. is established and obtains the authorized dealership of Mercedes-Benz. Faren Kyoto Chuo Co., Ltd. is established and obtains the authorized dealership of Volkswagen and Audi. 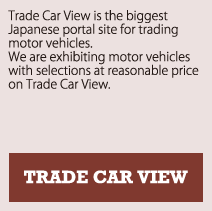 Motoren Kyoto Co., Ltd. is established and obtains the authorized dealership of BMW. 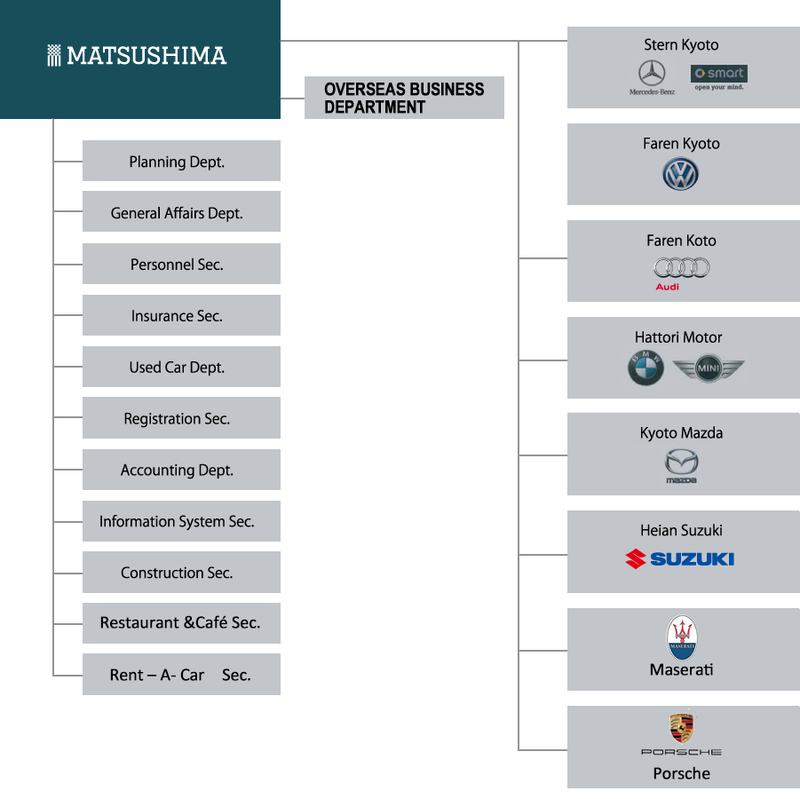 Kyoto Mazda Co., Ltd. is restructured because of the change of organization. Kamig Co., Ltd. obtains the authorized dealership of MINI. Kamig Co., Ltd. obtains the authorized dealership of VOLVO. Kamig Co., Ltd. changed its name to Matsushima Holdings Co., Ltd.
Matsushima Holdings shall be the human society based on cultivating the delightful life of our dear customers and our employees. We strive to achieve the goal of our company management with a morality and a business aesthetic. We strive to act in the conformity with the company management to make priority for the benefit of society and customers. As a result, the reasonable profit shall be brought to us. Matsushima Holdings shall pay the heart-warming consideration to people. 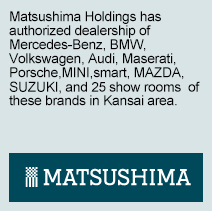 We are proud of being the employees of Matsushima Holdings. We strive to become a company respected by our neighborhood and our own family. Copyright © 2014 MATSUSHIMA HOLDINGS CO.,LTD. All rights reserved.